On this day, November 6, in 1816, Gouverneur (alternatively Governeer) Morris died in the Bronx. Morris was born in southern Weschester County, (now the Bronx) on January 31, 1752. At the age of 12, Morris enrolled in King's College, (now Columbia) and graduated four years later, and received a Masters degree from the institution in 1771. The Morris family was a well established landowning family, who in 1775, sent Gouverneur to represent their estate in the New York Provincinal congress, starting him on what would become his life's work. He split with his family on the issue of American Independence. His own mother, a loyalist offered the British Military, use of the family estate. However, his family later, was well represented on both sides of the Revolution, and in Government and Public life in the US. In 1778, Morris was appointed a delage to the Continental Congress, working with George Washington to reform the Military. In the same year, he was one of the signors of the Articles of Confederation. He subsequently lost re-election to Congress, due in large part to his advocacy for a strong central government, in opposition to the view more prevalant in New York of decentralism. This lead him to a nine year hiatus in Pennsylvania, representing that state at the Constitutional Convention in 1787. During the Constitutional Convention, he was one of five, who worked to draft the final language of the Constitution, and he is often credited with much, if not all of the Preamble. He advocated during the convention against Slavery, though he beleived that "there never was, nor ever will be a civilized Society without an Aristocracy." In 1789, Morris went to France on business, and served as Minister Plenipotentiary to France from 1792 to 1794. His diaries from this time are considered a valuable record of the French Revolution, of which he was critical. 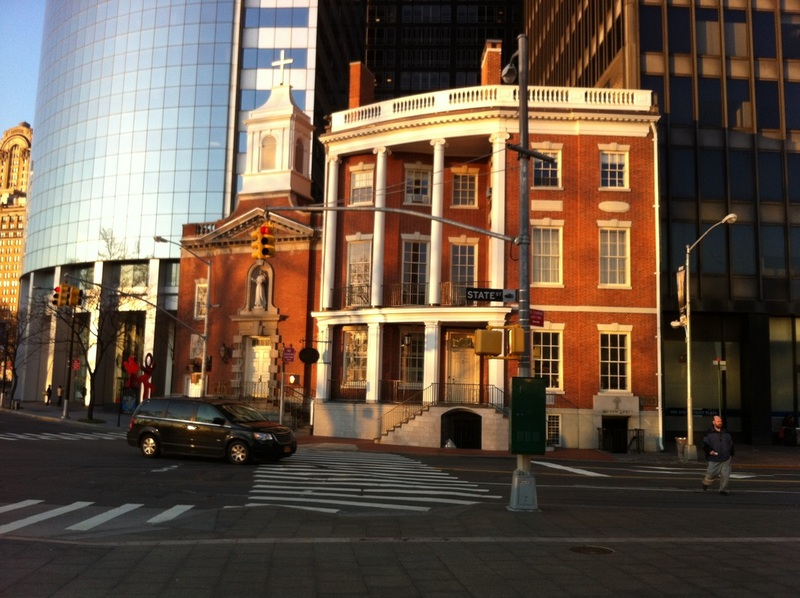 In 1798, Morris returned to the US, and in 1800, was elected to the US Senate to fill out the remainder of the term of James Watson (who owned the house that is now the Elizabeth Ann Seton Shrine) . In 1803, he was defeated in his bid for re-election. His last significant position was as Chairman of the Erie Canal Comission from 1810 to 1813. Morris, in addition to the various public roles he held, owned sizable tracts of land, including areas that contain a Town and a Village that bear his name in St. Lawrence County, NY. In 1816, Morris died, of unseemly causes, and was interred in St. Ann's Church, the Bronx.